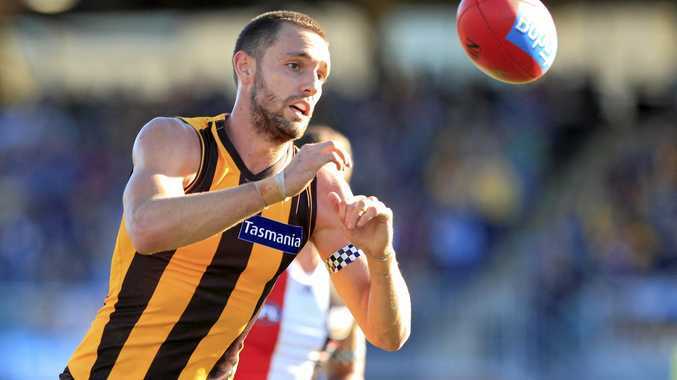 HAWTHORN coach Alastair Clarkson says the Hawks will not trade Jack Gunston at the end of the season. There were calls for the Hawks to consider trading Gunston to rebuid its list after last week's heavy defeat to Port Adelaide. Gunston, 25, signed a new deal with Hawthorn last year and Clarkson said he had no interest in moving him on. Clarkson said Paul Puopolo was also off limits. "Those guys who have played anywhere from 100 to 200 games are critical for the next wave of players for your footy club (with) their leadership," Clarkson said. "It's those guys that need to carry our club forward, so we'd be pretty loathe to lose any of those guys. It's been mooted in the press about Gunston and (Paul) Puopolo and others and they're the last guys we want to see leaving the footy club. "They're all contracted, anyway, so I think it would be highly, highly unlikely that those guys would be moving away from the club." Hawthorn traded this year's first-round pick to St Kilda to help secure Jaeger O'Meara from the Gold Coast. On current ladder order, the Hawks' first selection is not until pick 35. Clarkson says dropped forward Ty Vickery must lift his game if he is to play AFL with the Hawks. 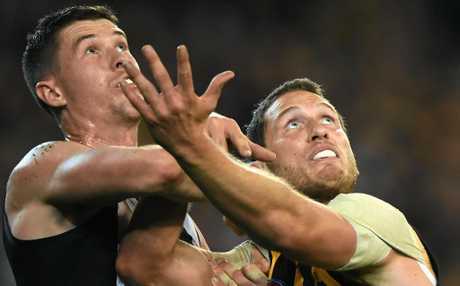 Since switching from Richmond as a free agent at the end of last season, Vickery has been held goalless four times in six senior appearances with his new club. Clarkson said the equation was a simple one for Vickery. "Take marks and kick goals," the coach replied when asked what Vickery needed to do to reclaim an AFL berth. "He's a forward and he's kicked two goals in six games, so we need a better return. "Timmy O'Brien was actually playing pretty well prior to getting a bit of a hip complaint three or four weeks ago. "But had Ty been playing the sort of footy that we want him to play then he would have maintained his spot in the side. "He hasn't been as good as we'd like so we'll see if Tim can be a little bit better in that regard." Clarkson made two changes for Saturday's clash against Gold Coast at the MCG, dropping Vickery and Dallas Willsmore and recalling Will Langford and O'Brien.